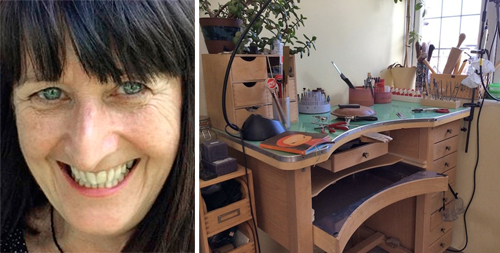 Suzy designs and makes jewellery from her London based studio. Following a career with a large high street retailer, managing a franchise store group, she took a leap of faith and went back to college to study jewellery manufacture and design. Four years later, and having seen her work exhibited in both the V & A and Science Museum, she launched her business. Suzy has been showing at Craft in Focus shows since 2012. The starting focus of her work is simplistic shapes. Suzy explains, ‘I like to explore the void inside the shapes and create patterns within these using precious metal, semi precious stones or beads and silk. The use of this internal void came when studying the work of Barbara Hepworth and Naum Gabo. 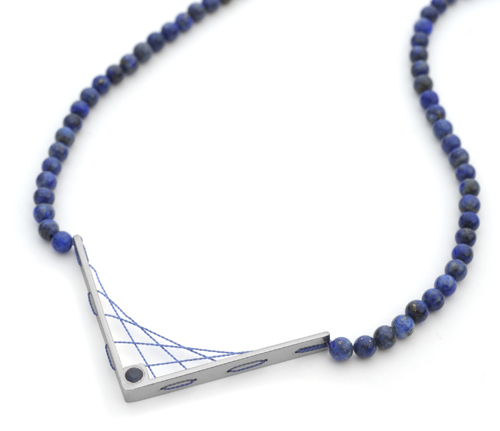 Suzy will be exhibiting at the Desire Jewellery & Silversmithing Fair being held at Chelsea Old Town Hall from 8-10 March. For further information please visit Suzy's Facebook page.